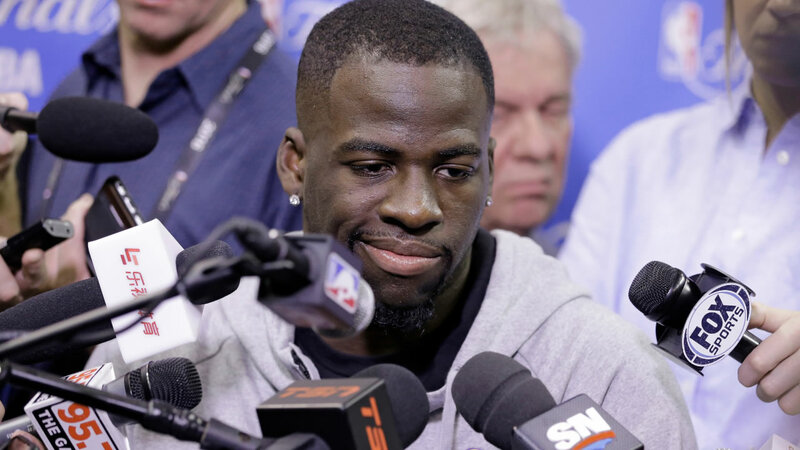 EAST LANSING, Michigan (KGO) -- Warriors star Draymond Green was arrested on a charge of misdemeanor assault and battery over the weekend near the Michigan State campus, but he will not have to appear in court for arraignment. The East Lansing city attorney tells ABC7 News a request for waiver of arraignment was filed Tuesday morning, and the 26-year-old will not have to appear in court on July 20. He notes that the 26-year-old has officially filed a plea of not guilty. And a pretrial conference is scheduled for August 4, where a resolution in the case could be sought by virtue of a plea agreement without going to trial. The alleged incident occurred early Sunday morning in the city where Green played for the Spartans from 2008 to 2012. Police say words were exchanged between the 26-year-old and the other man at the corner of Grand River and Abbot in downtown East Lansing around 2:30 a.m. when Green slapped or punched the victim, who was allegedly taunting him. East Lansing Police Lt. Scott Wrigglesworth says the male victim was not injured. If convicted of assault or assault and battery, Green could face 93 days in jail, a $500 fine, or both.